Walking The Colony Trail. Photo by John Marton. 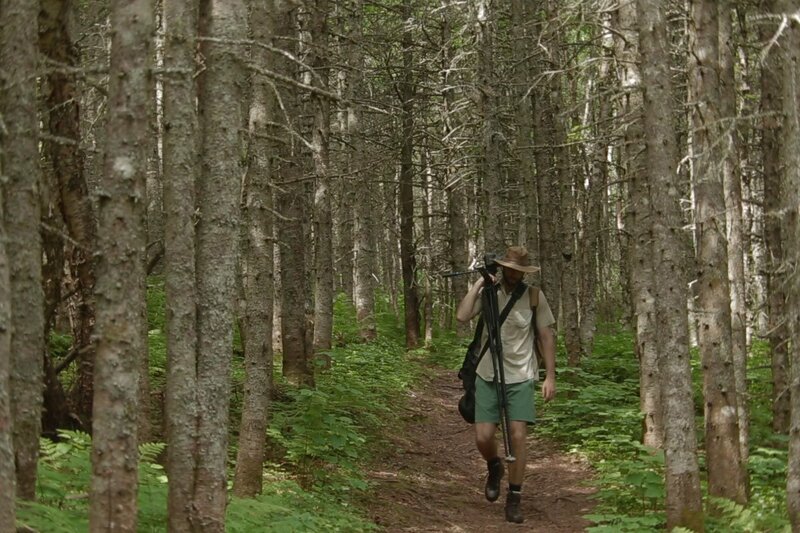 Oliver Hartman from (one of Popupla's 24 Best Travel Blogs and Websites of 2015) spent time on Quebec's northern coast with filmmaker John Marton. They shot a documentary about the northern gannet (out next week), one of the largest sea birds of the North Atlantic, and sent over a few favorite behind-the-scene stills. 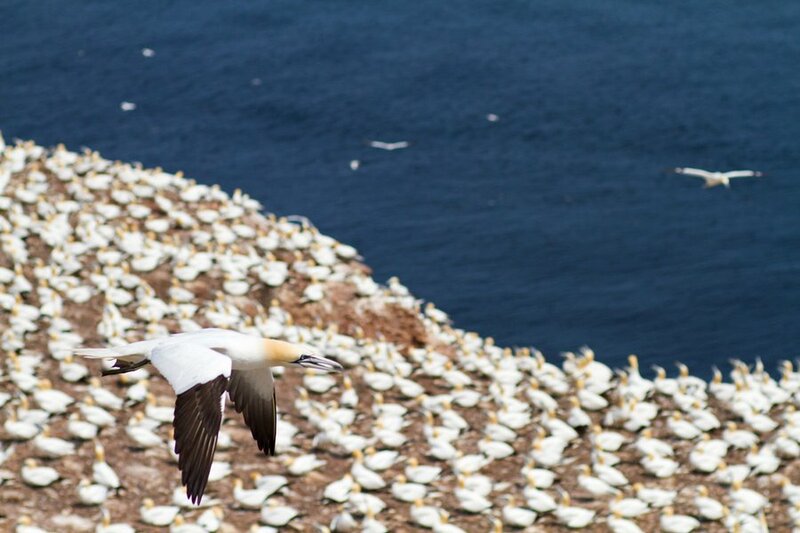 How did you reach the giant colony of gannets? From Montreal, we took a small flight (a ten-seater, twin-prop) to Baie Commu, then another ten-minute flight to cross the bay (which would be eight hours driving, otherwise) to Mont Joli. 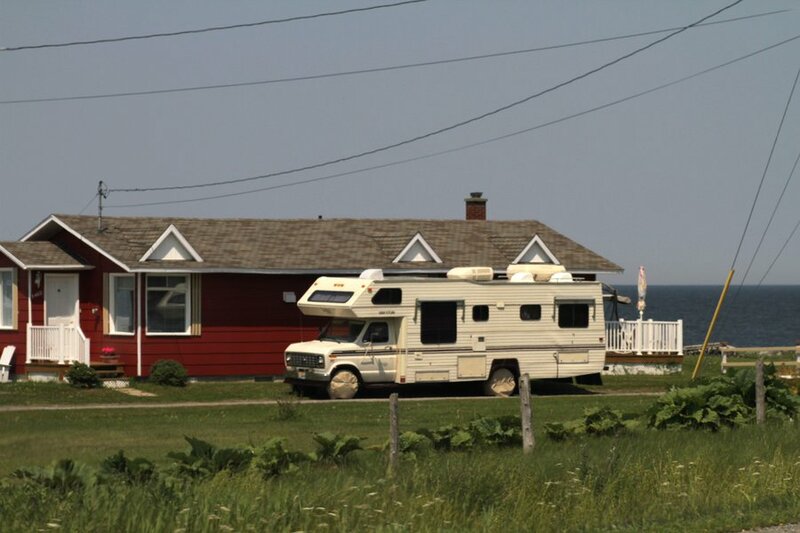 We spent one night at the Gites in Gaspe National Park. The rest of the time was at , which was certainly a good vista, and, like most of Perce, quaint and cheap. When we reached the colony, we saw a handful of tourists coming and going via ferry. 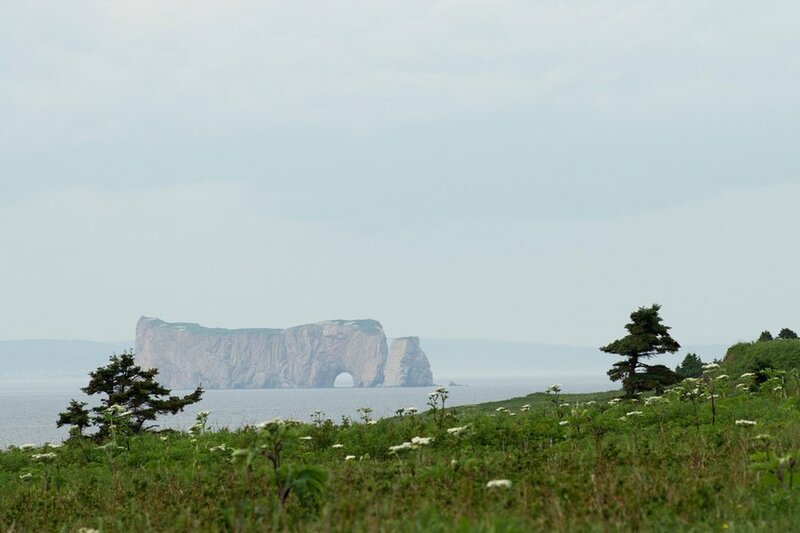 The boat makes a one-hour trip that circles Perce Rock and the island before docking. When we went back the second day, we saw fewer tourists. I took a path to an observation tower and got a few shots looking down at the birds and watching them fly by. How did you prepare for the trip? What was the impetus? Quebec Tourism reached out to us, and we dug into the story. I'm from Maine, so I'm familiar with the region and had been to Gaspe before. It was exciting to head back. We had to think about the gear (we needed a 70-200 mm lens and a doubler, which is a piece of glass that doubles the focal length of a lens), and how to carry all of it. Also patience, because filming wildlife, even when contained to an island, requires going with the flow. We only had two days, with a pretty hectic itinerary on day one. But the second day was great. John ended up getting sunburned, which was a lowlight, but I got alone time with the huge and powerfully aromatic colony. And I stripped down to my underwear to jump in the ocean at a small deserted beach on the hot walk on the longest trail back to the pier. 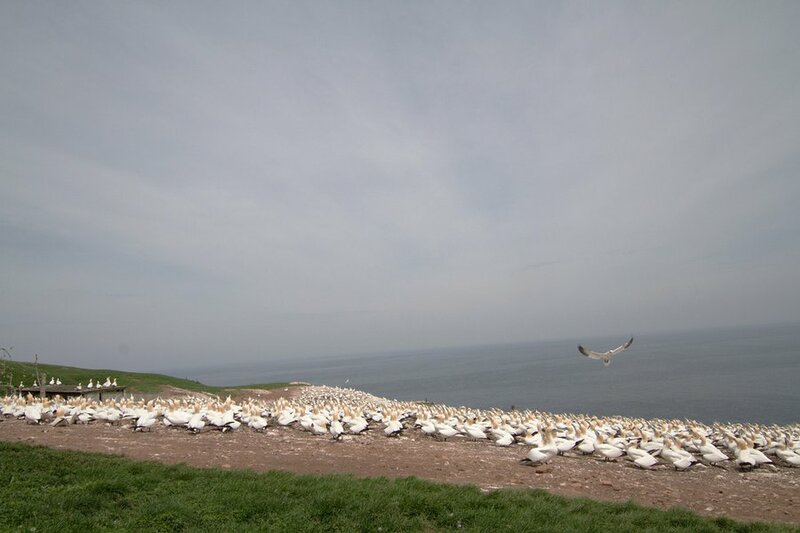 Speaking with the guides and watching the gannets so closely was really a nice meditation on ecosystems and populations. The sunsets on Perce Rock are also stunning: The rock is an amazing presence to the shoreside village. Oliver Hartman of Jungles in Paris walks The Colony Trail on Bonaventure Island. 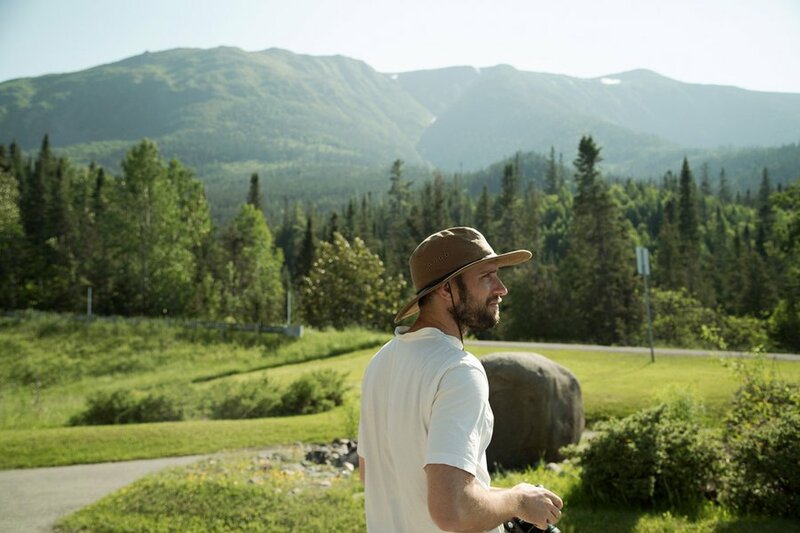 Oliver Hartman of Jungles in Paris with Mont Albert of Gaspé National Park in the background. Bonaventure Island from the shore in the town of Percé. 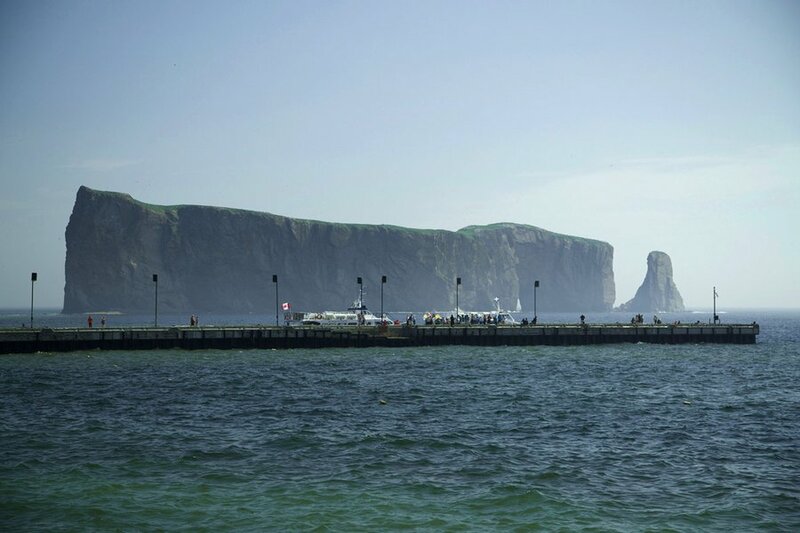 The large offshore rock formation called Percé Rock looms behind the towns pier. 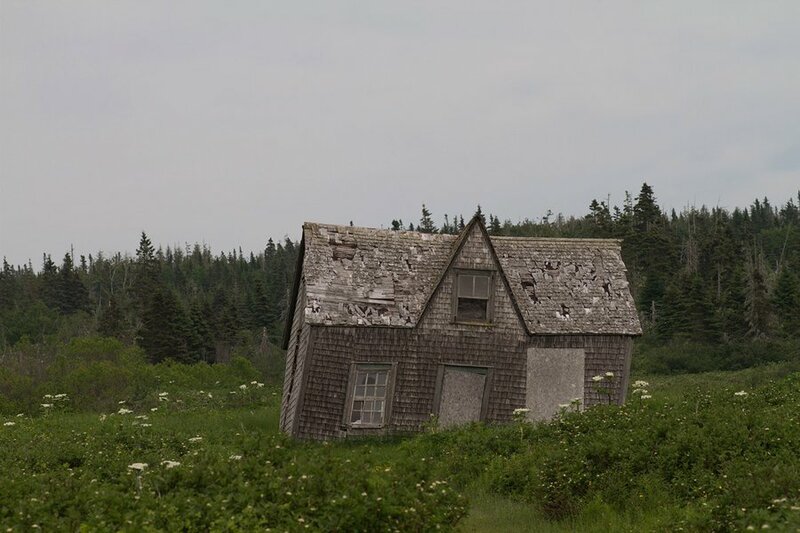 A typical house on the Gaspé Peninsula. A gannet soars in the skies over water. 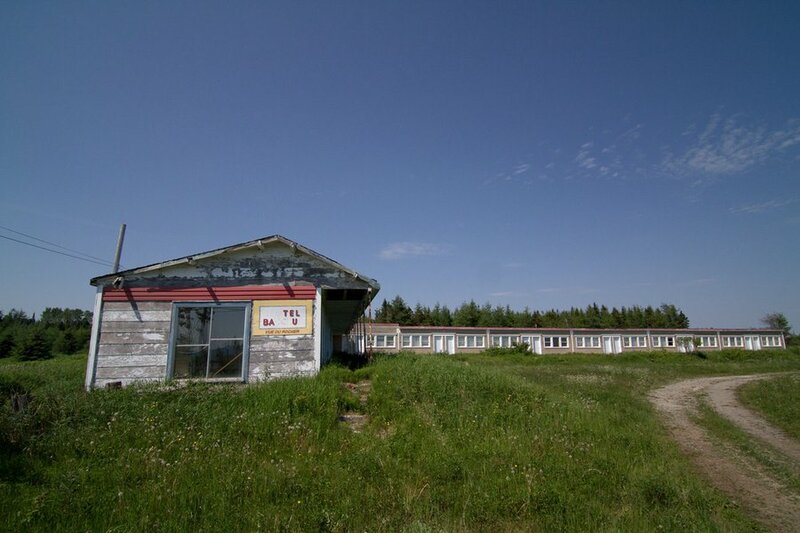 A decrepit hotel, one of many signs of declining tourism in the area, lies on the road to Gaspé outside of the town of Percé. A gannet lands at The Colony on Bonaventure Island. 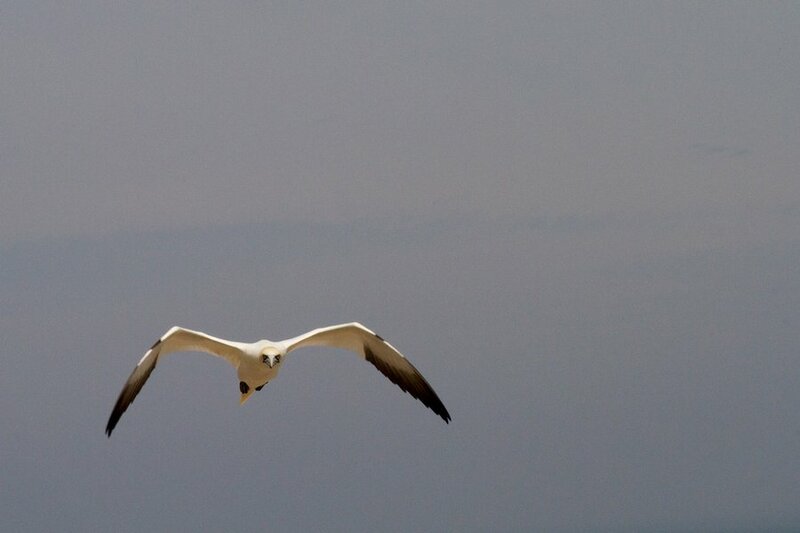 A gannet returning to the colony from fishing nearby. 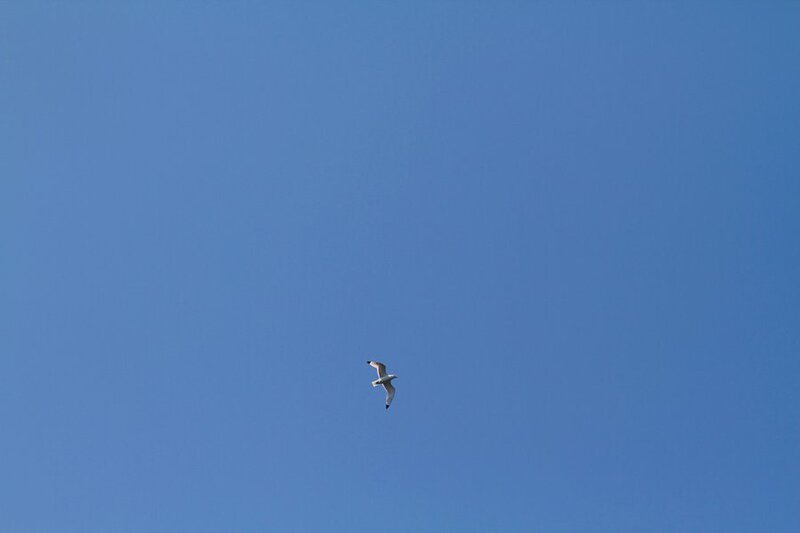 A gannet on its way out to fish. 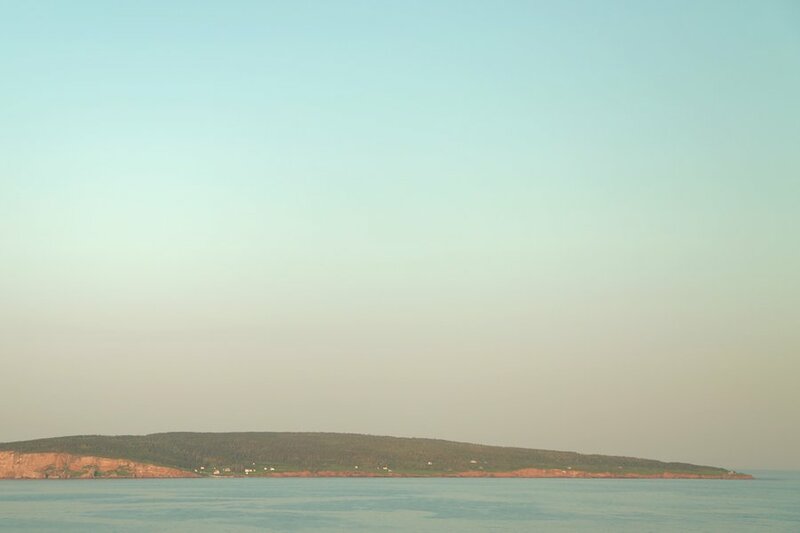 Percé Rock, sometimes called the Drinking Horse, seen from Bonaventure Island. One of the old houses on Bonaventure Island, as seen from the King’s Road Trail. 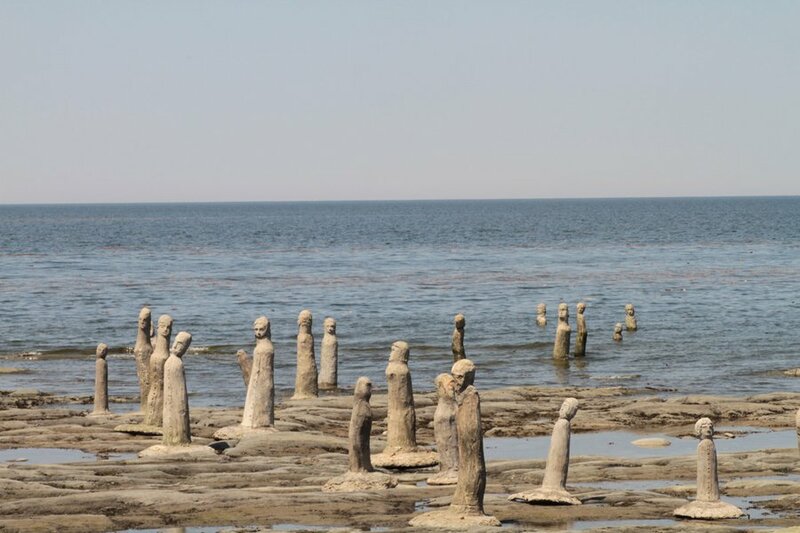 An aqua statue garden on Route 132 from Mont Joli to Matane. 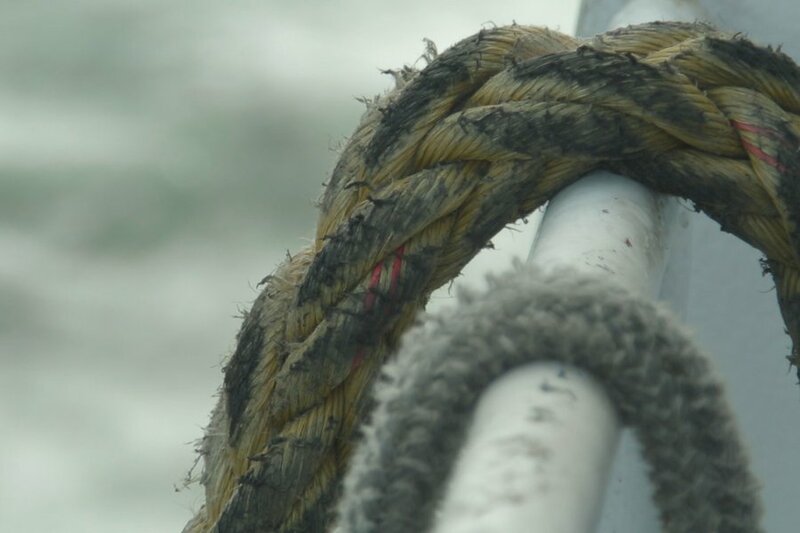 A mooring rope on the ferry from Percé to Bonaventure Island. Oliver is a documentary filmmaker and photographer based in New York City. He is also the co-founder of , a travel project that produces stories about culture, craft, wildlife, and geography from around the world. Follow him on . He travels to capture everything on film.